Listen, I’m not trying to sounds like your mom, but seriously, a sunburn can be a rafting trip ruiner. There’s no indoors to sneak off to, no stores with tubs of aloe, and there’s way too much fun to be had to be red and in pain. 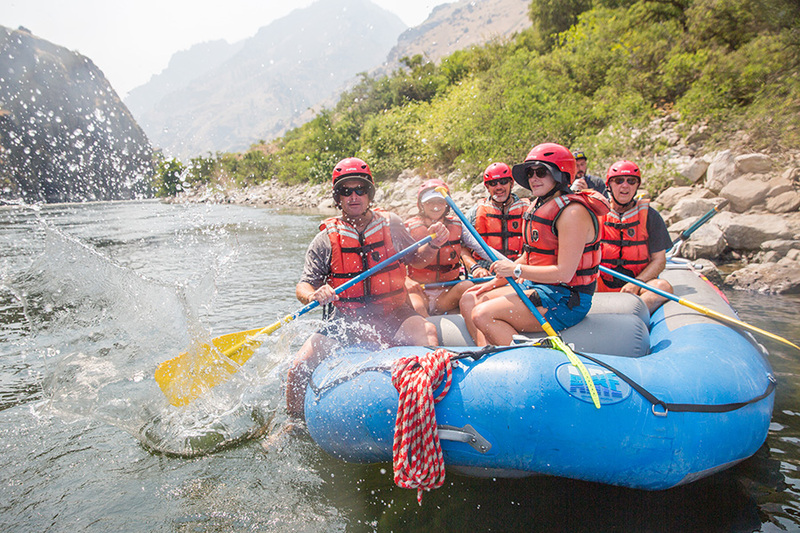 Here are some tips to avoid the dreaded rafting burn. Depending on your skin type, use your best judgment to follow all of these tips or a mix and match version that works best for you. Groundbreaking I know, but sunscreen really lives up to its name. Apply at least once if not twice a day, and get a friend to help apply if you choose to go shirtless under a PFD (Personal Flotation Device – also known as a lifejacket). There’s something about PFD’s that encourage painful lower back burns and splotchy shoulder patches. 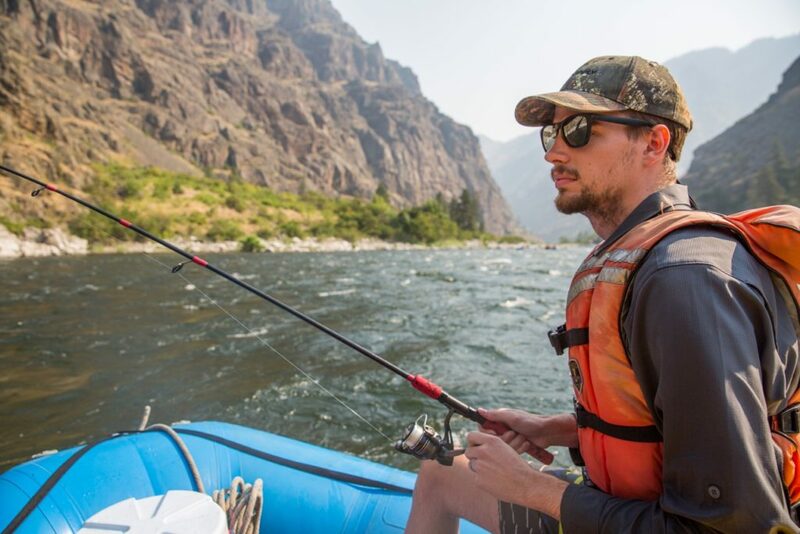 When whitewater rafting the Snake River or Salmon River, all sunscreens put on the body will eventually be splashed off, swam off, or sweated off into the rivers. These rivers converge and then head across Washington directly into the ocean. Eco-friendly sunscreens are better for your skin, the environment, and for future river trips so use ’em when you can! Spray sunscreens can also be bad by getting most of the ‘screen into the environment and your lungs instead of on your body (not to mention some splotchy application jobs). Use them if it’s the only thing you got, but we recommend the good old rub kind. 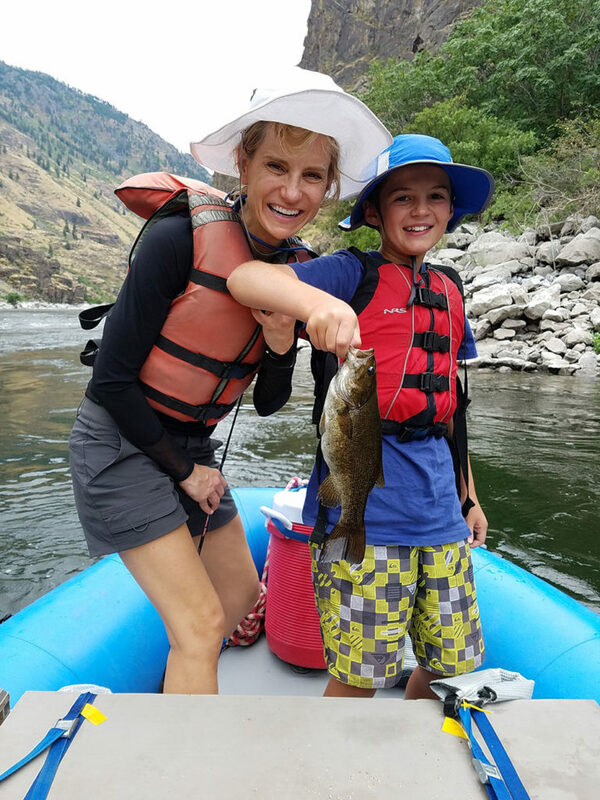 It’s bright on a Hells Canyon Rafting Trip. Even though those canyon walls are tall, the sun still shines down for most of the day. Sunglasses with a strap like Chums or Croakies will do the trick. Whether it’s a baseball cap, traditional sunhat, or even a sombrero, hats can save your face, ears and neck from a surprising burn. Put one on your noggin in the morning and there’s no thought for reapplication. Hats do find their way into the river by wind, rapids, or swimming, so be sure to have a string that goes around your chin, or a hat that you don’t mind losing. If you’re really prone to sunburns or just want a break from sunscreen, SPF sun shirts are the way to go. They keep a good part of your body easily out of the sun and do a surprisingly good job at keeping you cool. The SPF material stays cool against the body when wet. 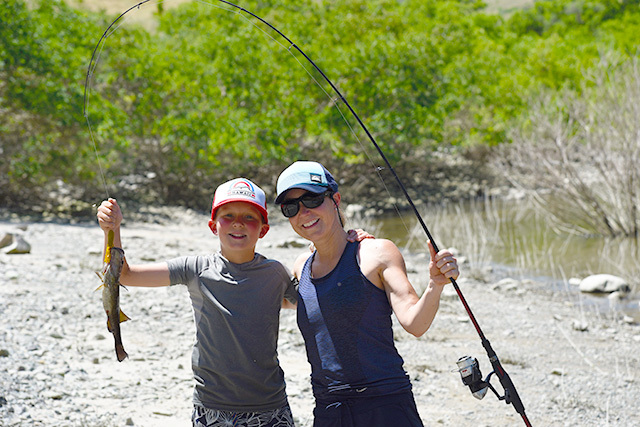 When it dries out, a quick arm dunk into the river gets you back to feeling cool. The sun is the strongest between 10 to 4 which is pretty much prime time for white water rafting, so hit the shade when you can. Lunch is a great time to find a shady spot and take a break from the sun. In the afternoons, camps will always have a shady spot from the canyon walls, trees, or a shade tent. 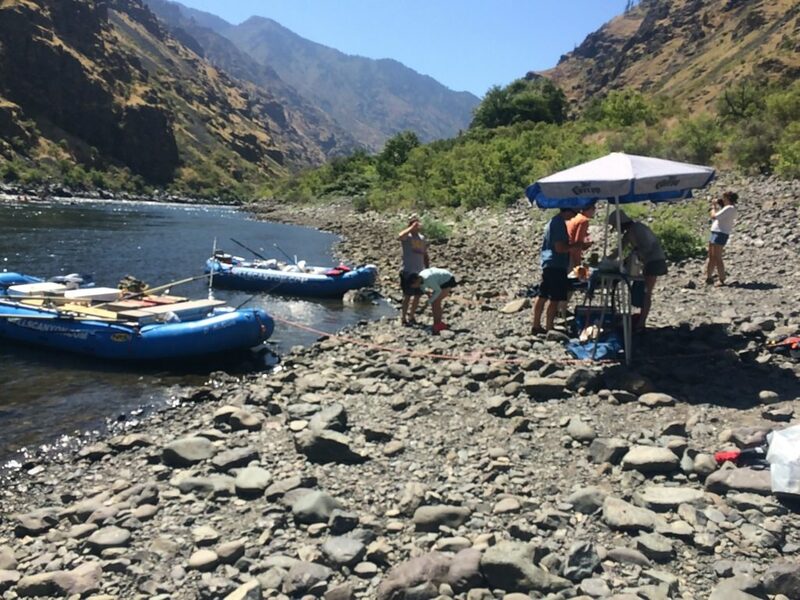 Interested in jumping onto a Hells Canyon rafting adventure? Click here for more information on the best overnight rafting trips.